Cliftonville’s nightmare week ended on another low note as Linfield claimed a 2-0 victory at Solitude this afternoon. After going close through Joe Gormley, the Reds were hugely unfortunate to fall behind when a Jordan Stewart header deflected in off Chris Curran ahead of the Blues doubling their advantage early in the second period when Andy Waterworth got in between Richard Brush and Jamie Harney to tee Niall Quinn up for a chance he simply couldn’t miss. Substitute Michael O’Connor’s late red card handed Cliftonville a numerical advantage but the visiting defence held firm to repel anything that was thrown at them. Cliftonville might have opened the scoring on nine minutes when Rory Donnelly cut inside to force a save out of Roy Carroll, who was indebted to Matthew Clarke for the diving block that prevented Joe Gormley converting the rebound. Harney charged down two Stewart attempts and Quinn steered a strike wide before Linfield took the lead when Stewart’s header from Kirk Millar’s cross took a significant deflection off Curran which, despite Brush’s best efforts, proved sufficient to take the ball over the line via the inside of the post. The hosts might have levelled almost immediately when Ruairi Harkin delivered a cross for Donnelly but while his header likewise struck the woodwork, this time it fell favourably for the defending team, allowing Jimmy Callacher to clear. 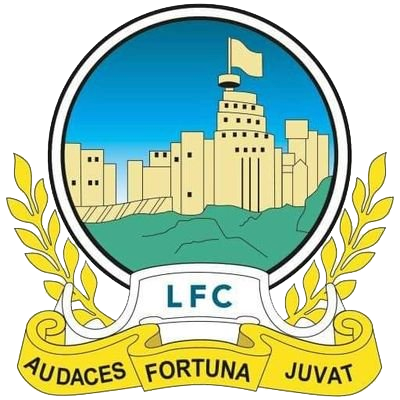 Linfield doubled their advantage a couple of minutes into the second half thanks to Quinn’s close range tap in after Andy Waterworth ghosted in between Harney and Brush to tee up the opportunity. Harkin drew a save from Carroll as Cliftonville sought a route back into the contest but, even after O’Connor’s dismissal – which came five minutes after his arrival from the bench and was earned for firstly kicking the ball away and then striking out at Damien McNulty – the Reds were unable to fashion anything more than a couple of decent efforts from Ryan Curran and Donnelly. 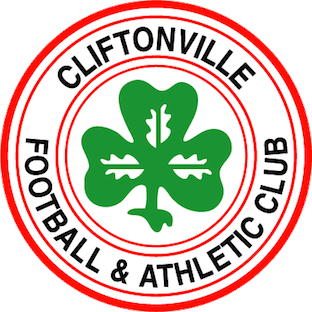 Cliftonville: Brush, McGovern, Ives, Harney, C Curran, Harkin, Garrett, R Donnelly, Catney, Gormley, McNulty. Subs: McKenna, R. Curran (Catney, 70 mins), Bagnall, McConnell, Lavery, Maguire (Garrett, 90 mins), A Donnelly.